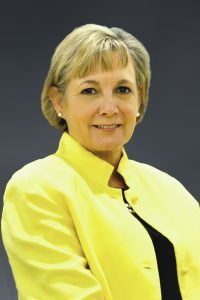 Robin DeLaVergne was appointed Executive Director of the Tampa General Hospital Foundation and Senior Vice President Tampa General Hospital in July 2005. Prior to that she served as Vice President Membership and Marketing for the Greater Tampa Chamber of Commerce. Ms. DeLaVergne is a member of USF Women in Leadership and Philanthropy, Tampa General Hospital Foundation Women’s Leadership Council, Florida Philanthropic Network, the Association for Healthcare Philanthropy, USF Town & Gown, Leadership Tampa Alumni, Junior Achievement’s Circle of Enterprising Women and the Philanthropy Leadership Council of the Advisory Board. She has served as an Honorary Commander for the 6th Air Mobility Group at MacDill Air Force Base. She is a past Chair of the Greater Tampa Chamber of Commerce, past President of the Junior League of Tampa, past Chair of the Tampa Bay Partnership’s CEO Direct Program, and a past member of the Board of Directors for Metropolitan Ministries and the United Way. She serves on the Tampa Downtown Partnership Board of Directors, Greater Tampa Chamber of Commerce Board of Directors and the Junior League of Tampa Community Advisory Board. She received the 2012 Women of Distinction Award from the Girl Scouts of West Central Florida, the 2017 Woman of Distinction Award from the Greater Tampa Chamber of Commerce, the 2017 Sustainer of the Year from the Junior Leagues of Tampa and Leadership Tampa Alumni’s 2017 Parke Wright III Award. She is a graduate of the University of South Florida where she received a master’s of science degree in audiology.